Krafting Kreations: New Products to Love! I didn't have a chance to finish anything crafty last night. I've been fighting with a scrapbook layout that I will have as a sample at my scrapbook themed workshop this month. I will try to finish it and post it tonight. But for today I wanted to show you some wonderful products that are brand new to Stampin' Up this year. Basic Rhinestones Jewel Accents and Basic Pearl Jewel Accents. 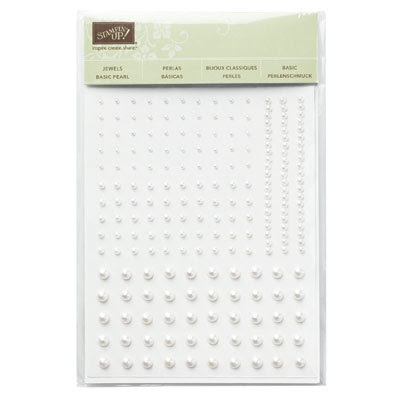 These wonderful self adhesive pearls and rhinestones will add some bling to your cards and other creations! They come with 150 pieces in a package. Thats 50 in three different sizes and three strips that can be used as borders. 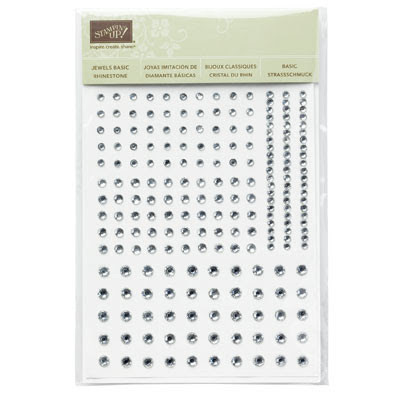 Or if you cut the glue strip with a hobby knife you have even smaller individual jewels to use. Shop Stampin' Up online to get your bling for all of your projects! Come back tomorrow to see what I have to share with you! Have fun stamping!